Think golf tournament with a shopping twist. 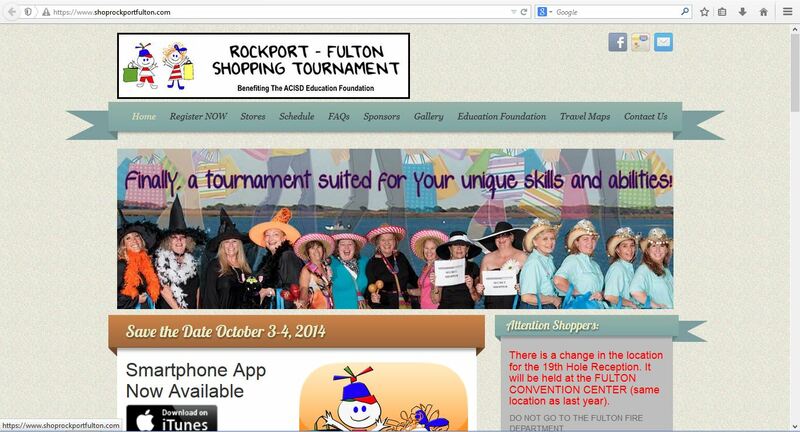 Experience “shop ’til you drop” shopping with discounts, costumes, prizes, food, and zany fun. Dress in costumes (encouraged) and compete for prizes as you “play a round” of shopping. Proceeds benefit the Aransas County ISD Education Foundation.